We have all asked this question at one time or another. 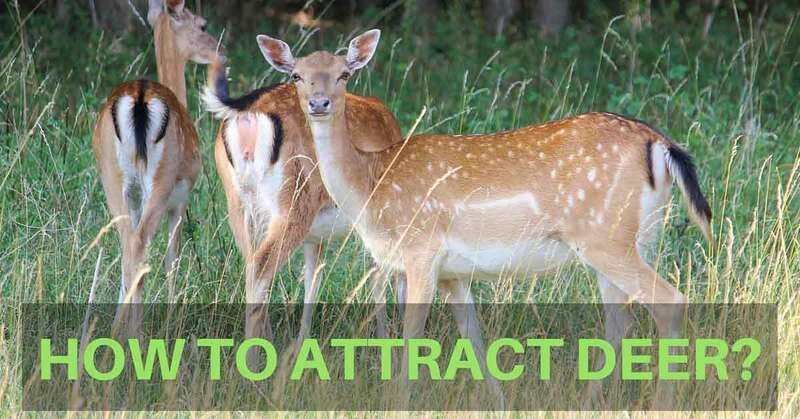 How to attract deer? I have asked the question many times when I have been hunting﻿﻿ deer. I have heard all the reasons why certain techniques won’t attract deer. But most of these objections aren’t based on experience. People saying they don’t work have never tried them. You ask them. Have you tried them? No, is the typical response. I know that unless I try a technique to attract deer I will never know if it works or not. Seed packages of the Deer’s favorite foods. I have found that planting foods that contain a lot of protein deer love to eat. (Look for these high protein foods alfalfa, turnips, kale, peas, and soybeans). Throw some popular nuts in the mix like chestnuts and acorns (Don’t roast the chestnuts). Lots of patience. You have to wait for these trees to grow big. Plant more than one food plot on your land. Fertile Soil for (My soil had a 6-7.5 pH Factor) Very good growing conditions. You can add some soil amendments to adapt the soil chemistry to the desired levels. If your soil samples don’t meet the proper ph. /nutrient levels. A Reliable pH Indicator (Measures pH Content of soil). You might consider investing some money in a good one. They will last a lot longer than the cheaper models. When beginning your food plot, pick the best seed packages that deer will come running from miles around to eat. I know from past experience that deer like to eat foods that are packed with protein. They really gravitate toward soybeans, clover, turnips, alfalfa, apples, chestnuts, kale and peas. These particular foods are very high in protein and will guarantee to bring deer every time. I have enjoyed great success hunting﻿﻿ deer on my land by planting these particular foods in food plots. You may consider planting beechnut trees on your food plots. Deer will eat beechnuts as one of their many nut selections. If you live in the United States you will notice that beechnut bumper crops occur every 3-6 years. In the Northern part of the country, the beechnut bumper crops happen every 2-4 years. Another characteristic of these trees is that they start producing nuts when they are 40 years old and reach full producing capacity at 60 years old. The trees are slow growing and they will live for many years. Beechnut trees will not give you a quick yield in a few years but they will give a long-term yield with bumper crops every few years. These trees are excellent for attracting deer down the road. If you decide to plant beechnut trees then you will be looking at long-term results for bringing deer to your food plots. Other nuts to consider are acorns, chestnuts. Some of the trees we have been talking about that deer like to eat will take years to grow and reach maturity. We may want to be patient because these trees will take years to grow to reach the point where they will yield enough food for deer to come and nibble on. The wait will be worth it. Once the trees start producing their favored food the deer will keep coming back for years to come. Another advantage is if you plant these food-bearing trees on food plots located on local land you won’t have to travel for hours to hunt deer. They will be right in your backyard. You will find if you should plant food plots to attract does and mature bucks. Your best option is to plant five one acre food plants instead of one big five acre food plot. Notably, you can plant a wider variety of foods the deer will come into your land to eat. Another less obvious fact is the buck will stay longer in your lands because he has five food plots to investigate instead of one for the eligible doe. Remember that the more ﻿﻿food﻿﻿ choices you give the deer to eat they will come back year after year. 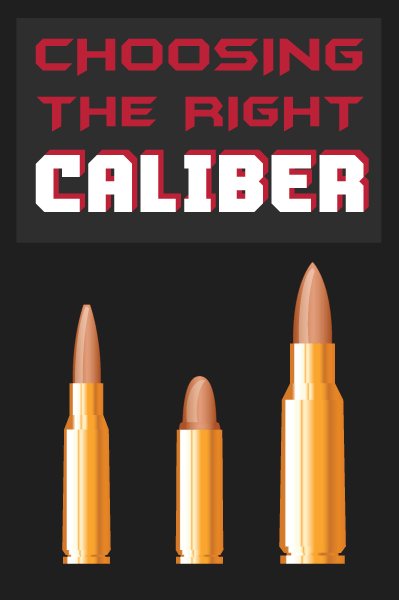 You will have decent numbers to choose from when hunting season rolls around. The prime concern I have in planting food plots is to make sure the soil is in premium growing condition. I do this by checking all the soil (for potential food plots) for pH strength and nutrients. I have found the best soil for food plots is that it has a pH factor ranging from 6.5-7.0. The soil should have plenty of nutrients in it as well. I roam my land picking out the best strategic places to set food plots. You should make sure the plots are near a good water source and away from busy roadways. I always take my pH tester to measure the pH levels of the soil. All you have to do is get a cup of the soil and stick the probe into the dirt. The pH reading will display on the tester itself. In this way, you will guarantee high-quality food production on your food plots. The deer will come to a good food plot source. By adding aglime as a chemical amendment to the soil it will increase the ph. factor. You would like those deer to come to your food plot every hunting season. We know that when the soil isn’t in the ideal ph. range the food will not grow properly. Poor food growth adds up to zero deer traffic. Aglime is best used when it’s CCE (Calcium Carbonate Equivalent) is 70-80% and the fineness (size of the actual aglime particles) are small enough to pass significantly into the soil. The quicker the aglime saturates the soil the faster your pH levels will be corrected to foster ideal growing conditions. Again, the pH numbers must be in the right range so the nutrients can travel to the plants. We mentioned earlier in this article the importance of acquiring a good quality pH meter. I personally recommend this particular brand. The “Horiba﻿ Cardy Twin pH meter (B213)” which retails for the highest price. The meter is priced a lot higher than the other 3 top meters reviewed on this site. The meter is easy to use and is the most accurate of the meters listed. It ships with a hard case, extra wash bottle and 125 ml of each of the calibration liquids. It has a built-in automatic temperature compensation feature. Its pH range is not as high as the others. One handy element of this meter is that you don’t have to dip the meter in the solution. You can put a few drops on the ion selective membrane. The testing process is very quick and easy. You may consider buying this pH meter to measure the pH levels in the soil of your food plots. It’s the best meter of the three reviewed on the website. It will last a long time. I hope you have enjoyed reading this article. Planting food plots on privately-owned land is a wonderful way to attract deer during the legal hunting season. I have benefitted greatly by planting my own food plots strategically on my land. Every season I have a nice choice of deer to shoot from and bring to the dinner table. Plus, I don’t have to drive far distances to go hunting. I just step out my back door. Don’t forget the “﻿﻿﻿﻿Horiba﻿ Cardy Twin ﻿﻿pH﻿﻿ meter (B213)” we talked about in step #7. Yes, it is priced a lot higher than the other meters but it comes with a lot of nice features and will measure pH levels very accurately. You may consider investing your money in this long lasting pH meter. We would love to know what you thought about this article. Leave your feedback in the comments section. Thank you for reading. Don’t hesitate to share this article with all your friends and family.